The University Grants Commission (UGC) yesterday approved autonomy for 60 higher educational institutions, including University of Jammu, officials said. New Delhi: Governor N N Vohra and Chief Minister Mehbooba Mufti today congratulated the University of Jammu for making it to the list of country's top 60 institutions which have been granted autonomy, officials said. 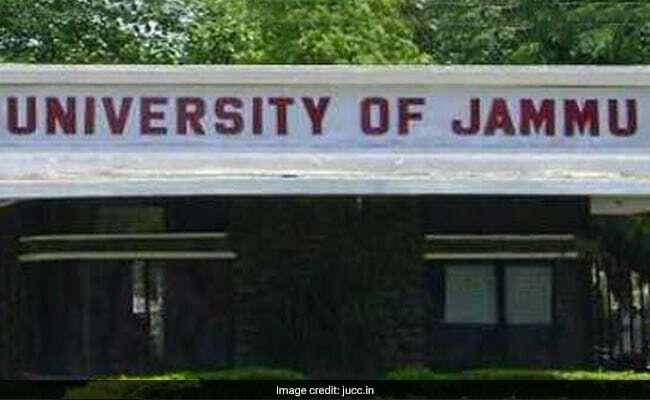 The University Grants Commission (UGC) yesterday approved autonomy for 60 higher educational institutions, including University of Jammu, officials said. On being informed about the UGC's decision by Vice Chancellor Prof R D Sharma, the governor, who is also chancellor of the university, congratulated him and all his colleagues on the well deserved recognition of the good work being done by several departments in this University, an official spokesman said. Ms Mufti also congratulated the Jammu University (JU) for making it to the top 60 academic institutions in the country which were granted autonomous status by the HRD Ministry yesterday. This reflects the struggle for excellence by the teachers, administration and students of the University equally, the Chief Minister said. She said her government, ever since it came to power, had accorded top priority to the consolidation of educational infrastructure in the state coupled with a much more liberalised regime at the institutes of higher learning with focus on linking quality with autonomy. Ms Mufti, who is also the pro chancellor of the university, hoped that after attaining such a feat the university would be able to attract more specialized talent and resources, start new job driven courses and enter into academic collaborations so that it emerges as a hub of knowledge and academia in the state and the region.